When Andres Pico acquired half of the San Fernando Valley in 1853, the story goes that he joined the selling party up the Verdugo Mountains to establish a line dividing the land. That line is now said to be Roscoe Blvd. which has a separate and dubious reputation. Even with its historical significance, development along this street didn’t really take off until roughly one hundred years later as the Valley began embracing its suburbanhood. 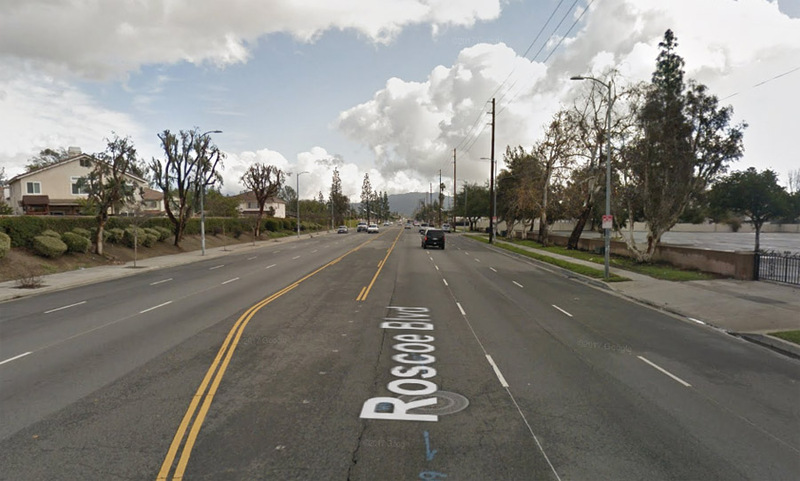 Roscoe is one of the most dangerous streets in the Valley. Does Roscoe look like a street or a highway? While you’ll see 35 mph speed limit signs posted, make no mistake about it. The priority of this street is to move cars along as quickly as possible. The street has three lanes in each direction with long distances between traffic signals meaning drivers move at near freeway speeds. When vehicles travel that fast, mistakes and bad driving habits become amplified and whether you’re walking, biking or driving, people become casualties. Vision Zero is an LA City program meant to counter balance this threat by using various techniques to calm traffic. This is a concept that’s been difficult for Angelenos to embrace since Mayor Garcetti adopted it two years ago. Chris Leader of Freedom Drums will be bringing people together through music. Here in the Valley, many still stand behind driving high speeds over the value of saving lives. One of the programs to help raise awareness is going on next week at the heart of one of these problem areas. Vision Zero Roscoe is a week long lineup of education, activation and workshops to raise awareness how to address the issue of street safety. The programming, which will run from Monday to Friday, is being put together by Pacoima Beautiful, Kaiser Permanente, Cottonwood Urban Farm and artist Leyna Lightman. 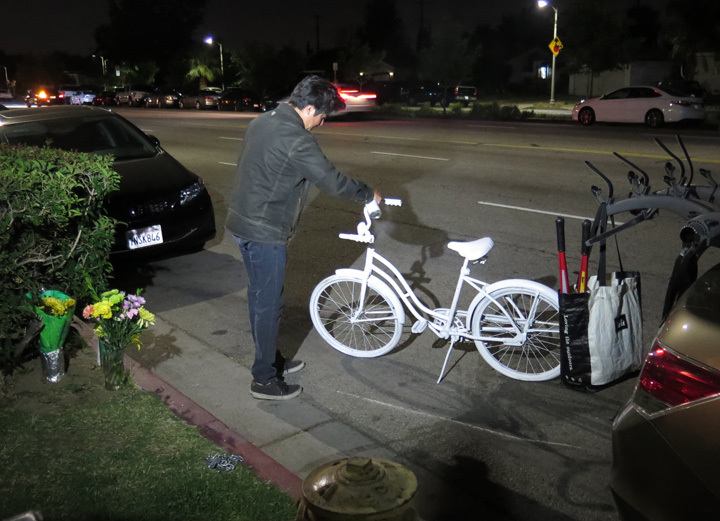 A year ago we placed a ghost bike on Woodman just south of Roscoe. 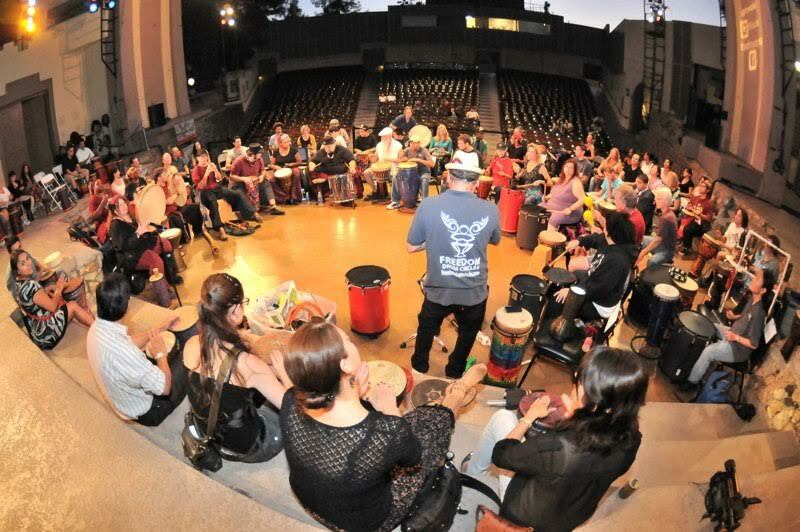 Part of the production is to bring together locals through art, music and crafts to draw attention to this crisis. When you’re driving in a car, it’s impossible to build community as you’re compartmentalized in a two ton box. We all ultimately get out of our vehicles and bringing people together to show that we share the roads is part of the understanding we need to make them safer. Leyna herself has an inner purpose with this project. She personally witnessed a person die on a motorcycle last year and as someone who gets around without a car, Leyna has made it a mission to make the streets safer for everyone. It is important to change this culture and projects like Vision Zero Roscoe are important to start this dialogue.